Barry, Robin and Maurice. Isaac, Taylor and Zac. Nick, Joe and Kevin. Kimberly, Neil and Reid. Brianna, Ryan and Daniel. 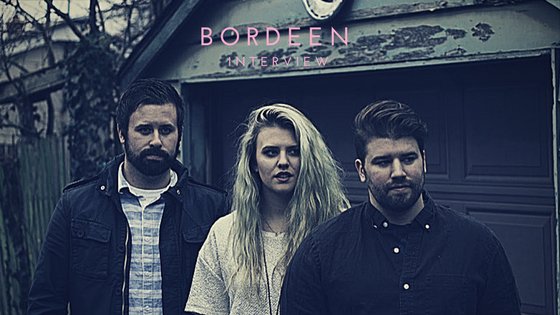 Toronto indie-rock sibling trio Bordeen takes the phonetic spelling of their last name, Bordihn, and the musical backgrounds of their parents to create a project worthy of their sibling trio predecessors. Stiver is an honest take on relationships as well as a general sense of coming to terms with events that are happening in personal and social aspects. Whether the events are good or bad, this record is about playing a part. “There are so many questions anyone can ask right now about what’s happening in society and this was a little look inside us to see where we were, what we’re thinking, what we’re noticing, and how to be okay with circumstances regardless of if they seem a little out of control in the moment,” Ryan said. The Bee Gees sold more than 220 million records worldwide during their 45-year music career. Hanson’s 1997 hit song “MmmBop” earned them three Grammy nominations. The Jonas Brothers took Disney by storm with five records, two films and a television series. The Band Perry recently transitioned from the top of the country charts to top 40 radio. Bordeen’s rise to the top is just beginning.